Visit the refer a friend page to see the options for referral. You can either buy services for friends directly, share your referral code online or forward unused domains to the 1&1 site. To forward unused domains they must either be purchased via 1&1 or transferred to 1&1 prior to this. Sharing your referral code can be done via this link. Simply share the code with anybody who may be interested in one of 1&1’s services. Your friend can purchase products for you directly – direct them to this page for full details. Alternatively, have them share their referral link with you. Access the 1&1 site via this link and buy as normal. 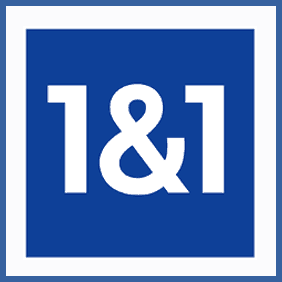 1&1 grant generous commission deals for referring new customers. From £1.00 for referring someone for a simple domain name sale up to £150.00 should you refer someone to one of their full featured eCommerce services. You can refer up to 50 new customers a month, so that’s plenty of scope for earnings. Looking for a referral link?